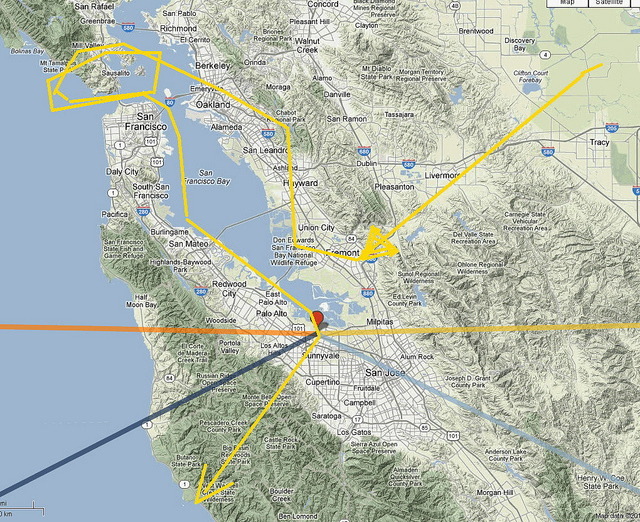 Yesterday, the space shuttle Endeavour had its flyover of the Bay Area. My friend Dan and I headed down to Crissy Field near the Golden Gate Bridge to witness the event. The shuttle’s flight path is shown below (c/o stargazer95050). I’ve included some low-quality photos that I took with my iPhone 4S. Farewell to the space shuttle era!